How we deal with conflict will either grow a relationship or destroy it. Experienced therapist Dr. Linda Mintle expertly leads readers through successful conflict management, resulting in more secure and peaceful relationships. 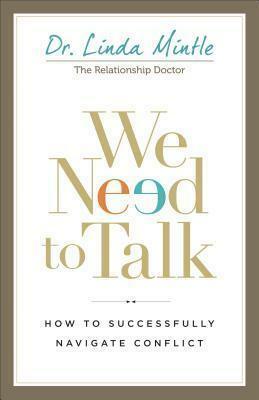 Practical and approachable, We Need to Talk offers real-world advice based on solid research for marriages, parenting, extended family, ex-spouses, blended families, and friendships. Readers will learn to reverse negative relationship patterns, let go of unresolved anger, negotiate expectations, set boundaries, and even stay in relationships with unsolvable conflicts. Self-inventories, questions, and descriptions of personality styles provide hands-on tools for self-recognition and better understanding. Throughout, Dr. Mintle directs readers to their ultimate source of relational transformation: a loving God.